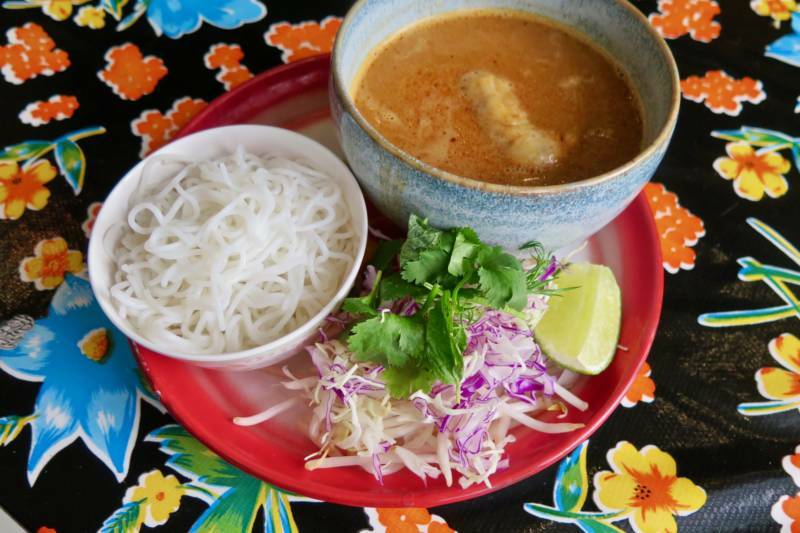 Whether you’re in SF or the 510, here are two places for khao mun gai (Thai chicken and rice), plus deals for SF Restaurant Week, check out the Peruvian tasting menu at JORA, and don’t miss an important (and delicious) Pencils for Kids fundraiser. When was the last time you’ve had Peruvian food? Have you ever tried canchita chulpi, or chicken and cashew soup? 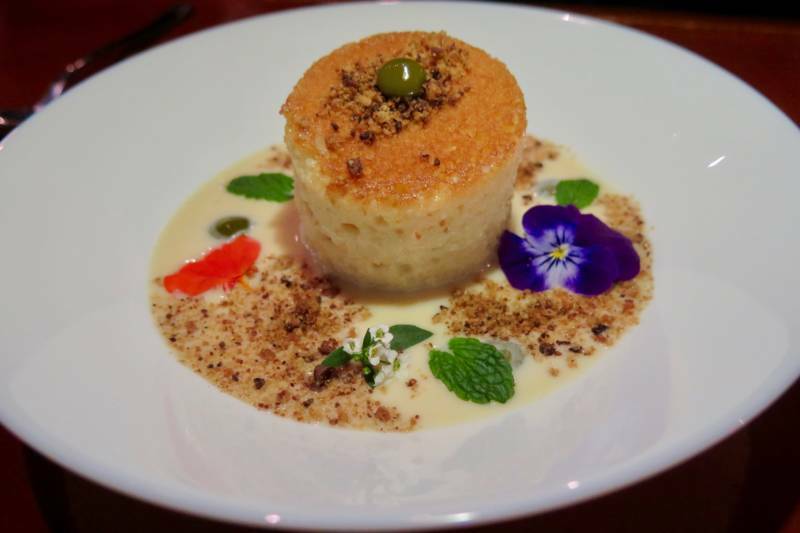 At the JORA Peruvian Cuisine (pronounced “hor-ah”) pop-up in SoMa, chef Rodrigo Fernandini offers a seasonal tasting menu that will introduce you to new ingredients and regional dishes, but if you’re a native Peruvian, you'll enjoy his updated spin on the flavors of home. 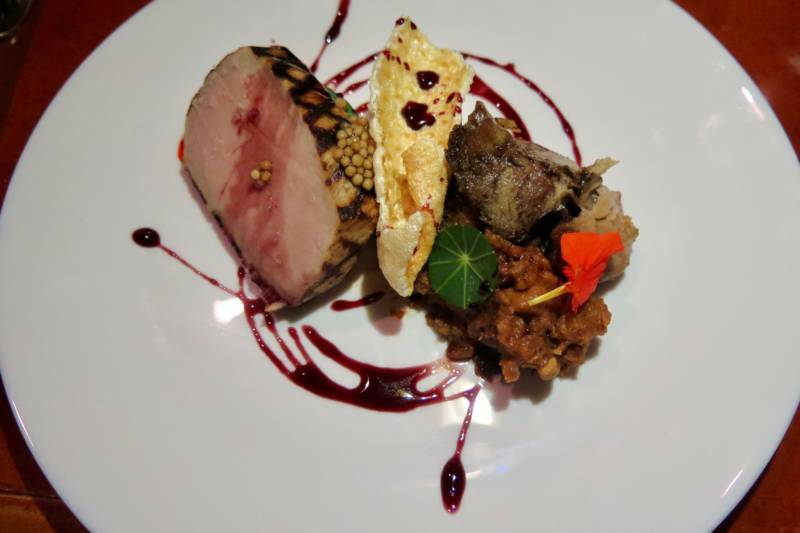 Fernandini graduated from Le Cordon Bleu in Lima, Perú, and the past ten years has cooked at top local restaurants, including Madera in Menlo Park, Adega (San Jose), Zola (Palo Alto), and Quattro (East Palo Alto). He's taking a break from the grueling hours working in other restaurant kitchens so he can dedicate his time to fine-tune JORA's tasting menu and concept with his business partner for their future restaurant. 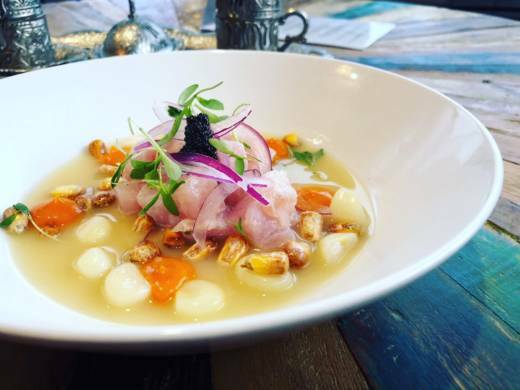 He’s especially proud of the leche de tigre in his ceviche con sentimiento, made with mahi mahi, sweet potato, crunchy red onion, Cuzco giant corn, and canchita chulpi (which tastes like corn nuts). It’s truly excellent. And the inchicapi is something special: it’s an Amazonian stew made with chicken stock and cashews (which he smokes and toasts), and he nestles bits of fried chicken, fried yucca, and bacon in the creamy stew, plus pine nut purée and cilantro oil. Tres leches cake for dessert. While the experience feels a bit steep for $85 (especially when dining in a dark pop-up space with wobbly benches, but at least you have your own table), it’s definitely an abundant five-course menu with a great deal of prep and thought put into it (and a chance to try new and unique ingredients). The timing is also a well-oiled machine, unlike some pop-ups. There have been some recent issues with alcoholic beverages at the venue, and you can’t BYOB, but there's the option of a pairing with non-alcoholic Peruvian drinks for now—they hope the venue has the license sorted out within a month or so. The dinners sell out, so look at the calendar and book your spot on Feastly soon. If you’re looking for a simple meal, one that is fulfilling and homey and won’t break the bank, the new khao mun gai spot in the Castro, Gai, should fit the bill. 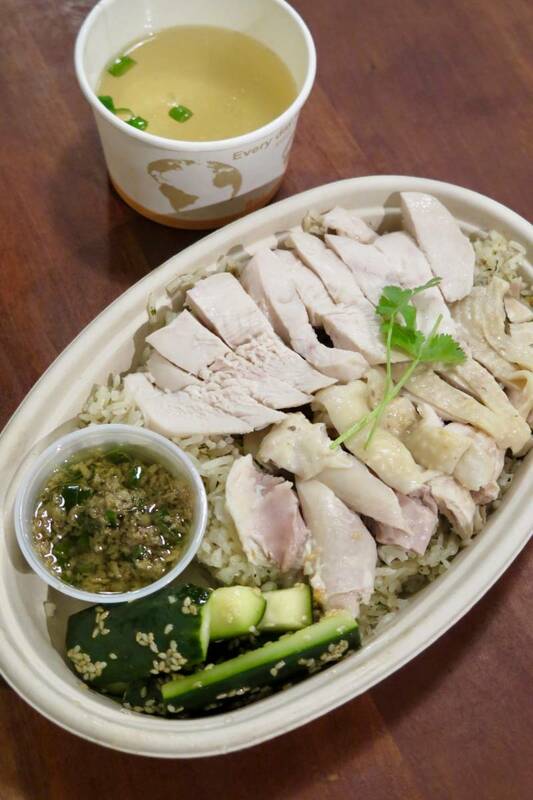 It’s in the former Sofia Cafe, and the menu is focused on just one thing: khao mun gai (Thai slow-poached chicken over chicken fat rice, with a side of chicken broth and sliced cucumbers seasoned with a lightly spicy sesame dressing). It’s a classic dish in Singapore, Thailand, and Vietnam, and the three sauces they offer reflect the three locales: the Thai sauce here is made of soy, ginger, and cilantro; in Singapore, it’s called hainan gai, served with a sauce of ginger and spring onions; while in Vietnam at Hoi An, it would be com ga, with a sauce of ginger, citrus, and fish sauce. It’s a fast-casual place: you order at the counter, and for $12.95, you get breast and thigh meat, although you can request breast only, dark meat only ($10.95), or tofu. You can also swap out the white rice for brown, or cabbage salad. That’s it, nice and simple. The chicken is juicy and tender, although I found the rice to be overcooked and not “fragrant” enough, but the cucumbers had more personality than most places. I also like a bit more punch in my Thai KMG sauce (and soybeans). 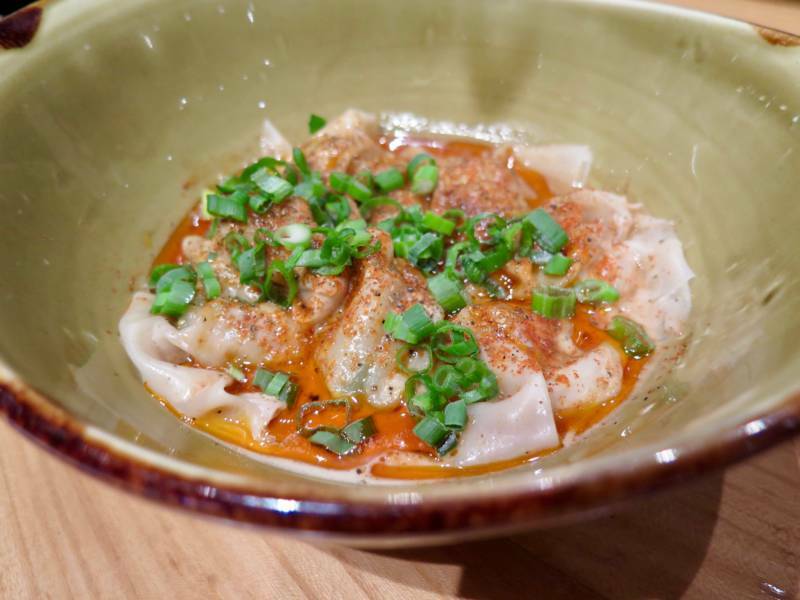 I wouldn’t go out of my way to eat here, but if I lived in the neighborhood, I’d be there quite a bit (I love KMG—it’s an antidote to the overindulgence that happens if you're a restaurant columnist). You can drink wine, beer, Thai iced tea, Vietnamese iced coffee, sodas, and coconut water. The staff cares about eliminating food waste by using the whole chicken, but some of the non-environmentally conscious serveware was a disconnect, like the plastic cups for water, and if a guest is dining at the restaurant, there’s no need to put a lid on the soup before bringing it to them. Open Tue-Thu 11:30am–3pm and 5pm –9pm, Fri 11:30am–3pm and 5pm –9:30pm, Sat 12pm–9:30pm, and Sun 12pm–9pm. Over in West Berkeley off Gilman, there’s a casual Thai spot called Funky Elephant that feels like the Thai version of Nyum Bai when you walk in—it's a quirky and tiny space with creative seating options (and tables covered in colorful oilcloth like you see in Thai street markets). It wafts pleasantly of fish sauce, and the Beach Boys were playing, and I was instantly charmed—and I hadn’t even seen the disco bathroom light yet. It’s perfect for lunch: dishes are well-made, and taste so fresh and so clean clean. It’s not about quantity here (with sub-par ingredients)—it’s more about being just-right and quality. Chef Supasit Puttikaew worked at Hawker Fare in San Francisco, and makes everything by hand, from the curries to sausage. 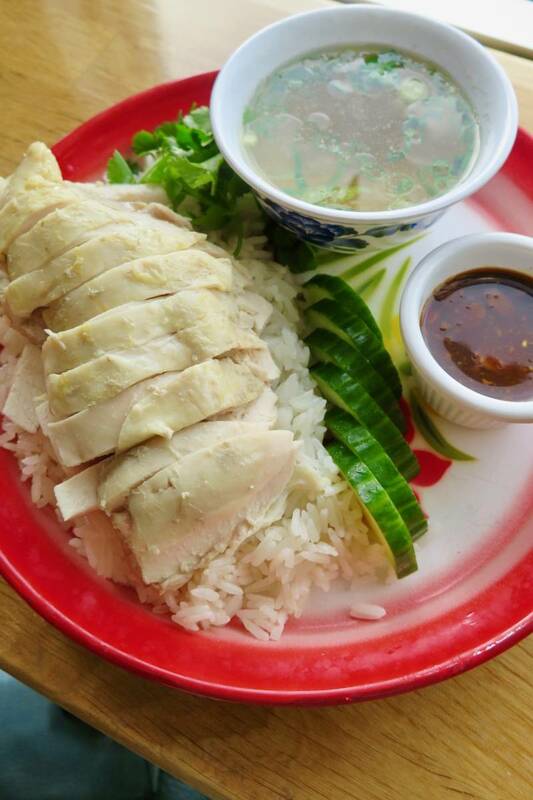 I tried their khao mun gai ($15), which came with perfectly poached (organic) chicken breast, although their rice doesn’t feature any chicken fat magic—just ginger and garlic. But their KMG sauce with fermented soy beans more than made up for it flavorwise—it reminded me of the vibrant sauces I tried in Bangkok, ka-pow. The clear broth was also full of chicken-y magic flavor. My server was so friendly (anyone who offers you extra KMG sauce to go with your leftovers is a star). I want to come back for their crispy rice salad (nam kao tod) and fried egg salad (yum chai dao)—I love how the Thai cooks fry their eggs—and I’d even try their pad thai here, expecting something authentically made without any shortcuts. Guests who attend and support Small World Big Flavors will find dishes from SF restaurants like Azalina’s, Beyond Burma, ChiliCali, Esan Classic, Garden Creamery, Liholiho Yacht Club, and the soon-to-open ONE65. There will also be beverages provided by Remy-Cointreau and HelioRoast Coffee, plus wines too. 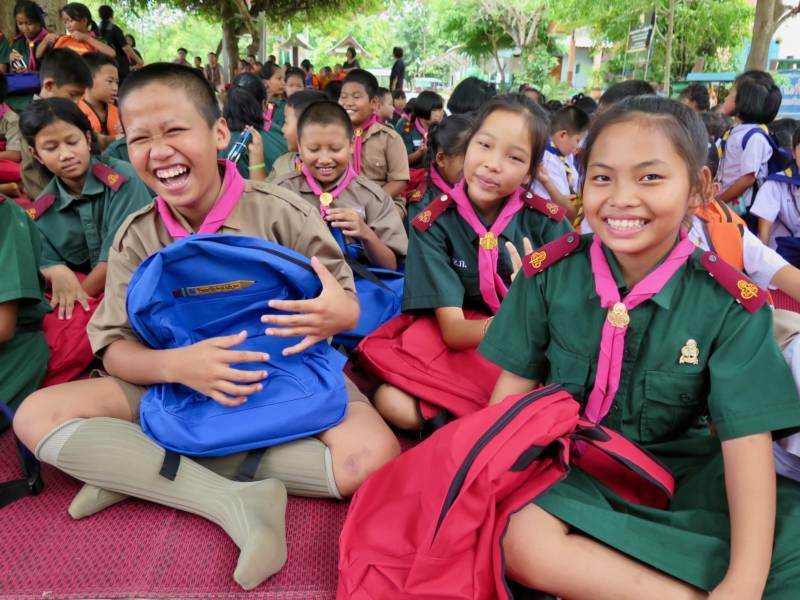 You'll be able to bid on silent auction prizes, and there will be an amazing raffle prize: round-trip tickets for two to Hong Kong on Cathay Pacific in Premium Economy and three nights at a hotel. Good luck! It’s that time of the year when over 100 SF restaurants are suddenly offering prix-fixe menus: it’s SF Restaurant Week! From January 23–31, visit restaurants for special deals on lunch (two-plus courses for $15 or $25) and dinner (three-plus courses for $40 or $65). Many restaurants offer their well-known dishes, so it’s a great time to tick some “wanna go” places off your list. Top restaurants to consider include August (1) Five (you can try their bison keema pao for lunch), Central Kitchen, China Live (don’t miss their “working hands” dumplings, and you get a jar of their chile sauce), Flores is even including a cocktail with their menu, Maybeck’s is offering an abundant dinner menu, ROOH's dinner menu includes their beef short rib curry, Spruce's lunch menu includes their famed burger, and Wayfare Tavern's fried chicken is on the menu! You can view the menu offerings online.